What is there in a question? A hidden curiosity and an urge to learn and understand. Questions enable us to explore, seek, ask and acquire knowledge. Curiosity and the urge to learn are deeply embedded in all of us from our childhood. It is this urge that enable us to learn, grow and develop. The moment we stop asking questions we stop learning. Learning is equivalent to the questions that we can ask. 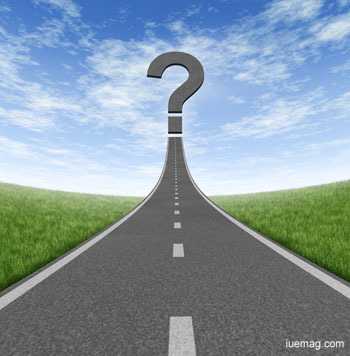 Questions enable us to stretch our horizon of knowledge and wisdom. The seeds of asking questions are laid in childhood. Occasionally children create problems for elders by their questions. Occasionally they are discouraged from asking questions any more. Occasionally they are given false answers or diverted so that they stop asking questions. How can this curiosity survive? Where can they ask the questions? The answer is school. What's a school? A place where students come and receive lectures, a place where there is a huge playground, a place where there are wonderful laboratories, a place where there are wonderful lecture theatres. What if it is a different school? What if there are no laboratories, lecture theatres, playgrounds? Will it be a school? I shall take you to some times in the past. A school which didn't have either playground or laboratories or lecture theatres. This school didn't have its building either. It was run on the premises of a temple. Surrounded by trees, on the floor of the building the school was run. Each class had 20-25 students who would come there and sit. The teacher would come and interact with the students. Emphasis would be on creating an environment of interaction. Students would be encouraged to ask as many questions as possible. The teacher will further probe into those questions and let the students dwelve deeper into the perplexing issues. The students will get engrossed in those questions and keep interacting with the teacher. When the students will get exasperated, the teacher will give hint and the solution will emerge. Every teacher will come to the classroom with a long stick. You might be wondering about what is the need of the stick. The stick is important because there are many monkeys roaming around and they occasionally jump on the building from the adjoining trees. Thus these sticks help the teachers in navigating the schools of monkeys. Students would rush to reach the school and there would be a competition to sit in the front row as this would give greater opportunities for asking questions and for greater interactions. The teachers would occasionally get absorbed in discussions and forget that they have exceeded both the class timings and the school timings. This school was from class I to class VIII. This school is no-where among the well known schools of the country. Yet, I wish to give a salute to this school and would consider it an opportunity to get myself in this school if I ever get a chance. You might ask about what happened to the students. The students passing out of this school have emerged as great planners, visionaries and they share some common characteristics. I shall take you to the journey of one of the students. He went on to become an edupreneur and set up a college, a school and eventually a university. The strong foundations of school days have life long imprint on our actions and decisions. This applies to this person also. In his institutions, he insists that teachers should create an environment where students are encouraged to ask questions. He asserts to the teacher "Your students will initially ask simple questions, awkward questions, later they will start asking difficult questions. You will be successful as teacher if your students start asking questions which you don't know." His constant emphasis on encouraging students to probe and ask questions has enabled him to herald a brighter future for all those students who studied from his school. Developing countries like India have countless schools which are run without infrastructure. Small changes in pedagogy can make amazing transformation among the students. The process of learning through questions and dialogue can stimulate the hidden creativity and curiosity of children. Instead of cursing the systems or cursing the government for high drop out rates, let us think of easy solutions that can transform the educational scenario. Let us make the beginning and start the journey for transformation. The sooner we take initiatives, the better it will be.